I’m a big fan of hummus and a few years ago, when I got my food processor actually, I was inspired to try everything and anything that required high powered blades for processing. Timing was just right, as I looked up all the ingredients of a traditional hummus recipe and used my very own processor to make it fresh and at home! Most dips that are sold as shelf stable products have added artificial ingredients to preserve taste and freshness, and we are big fans of dips in my house! My kids love snacking on raw veggies and so do I, and it just so happens that hummus pairs really well as a dip for raw veggies. After a few trials to get just the right proportions of each ingredient, and cutting out some labor intense steps to make it much easier I think I have a favorite recipe and some tips to make your own hummus. The surprise ingredient in hummus for most people is the Tahini. Tahini is made from ground sesame seeds and it adds to the texture and flavor of hummus. Hummus by the way, is a very good dip choice when looking for healthier alternatives. It’s packed with fiber, omega fatty acids (you can thank the Tahini for that!) and lots of minerals such as Manganese, Copper and Iron. 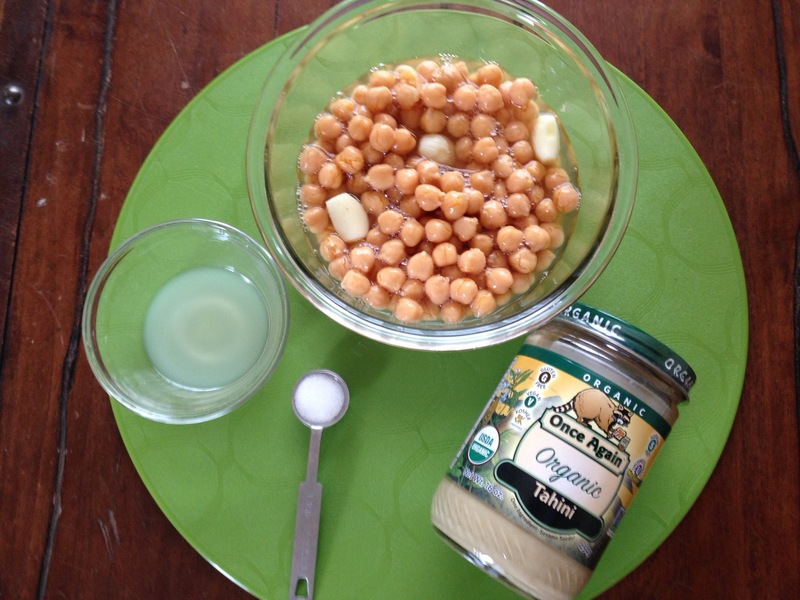 My basic Hummus recipe starts with a can of Chickpeas, and I like to use the organic kind. I do sometimes take the time to cook some chickpeas of my own and freeze small portions for future use but when on short notice the can works well! To really infuse the taste of garlic I found that microwaving the chickpeas (with liquid and all, straight out of the can into a glass bowl) with 3 garlic cloves for 3-5 minutes does the trick. You can of course do this over the stove top as well. Then transfer it all to your food processor while still warm, add about 2 tablespoons of lemon juice, ½ cup of Once Again Nut Butter Organic Sesame Tahini, 1 tsp s alt and blend. Then slowly I drizzle in about 1 tablespoon of Extra Virgin Olive Oil in the final seconds of blending. The hummus is smooth and tastes so fresh! n also add green olives, sundried tomatoes and oregano for an Italian twist. For a Greek version try adding spinach, crumbled feta cheese and extra lemon juice. I think you get the idea, making your own hummus is easier than it sounds, but I warn you, once you’ve tried homemade hummus you may not want to go back to the store bought ones! Years ago when my first child was born I changed. Not only in the much expected ways of becoming a parent and no longer having time to enjoy a glass of wine at 5pm at end of work days. As many other moms know this so well, there is no end of work day when you become a mother. My life drastically changed and now revolved around my child. But it was during the few years after her birth that I started to notice a change within me that was much more permanent. After all, as much as we dread the midnight feedings, the diaper changing and the toddler defiant stages those all pass and make room for new challenges and triumphs. This “change” within me was much stronger and deeper, something that moved me to act upon it. What am I talking about? The need to make this world a better place for mine and all children. I was inspired to make every action count in my life, that every move I made would be a positive impact of the course of our earth; both the earth as an environment and the earth as a society. At first it was just the little things that I could manage since my day to day pace was more in “survival mode”. Recycling my trash, making my own baby food using locally grown fruits and vegetables, donating the tons of baby clothes my daughter apparently “needed” at age newborn to 6 months, and of course, the yearly donation to the hospital where I work to help children fighting for their lives. As my family begun a new chapter with our kids now beginning to understand actions and reactions, question the reasons why things are the way they are and demand explanations when they are confronted with unusual situations that I saw that “change” take new life. It is no longer just about doing the little things, but also about acting in example for these little eyes that are continuously watching our every move. This brings me to my recent encounter (the whole reason I decided to share the story!). I was the lucky recipient at a famous coffee drive up counter of the “pay it forward” phenomena that spurred so much buzz in the social media. As I went to pull out for my wallet the young teen at the window smiled and said: “The car in front of you paid for your beverage! She said for you to have a nice day and smile!” I was the last car in the long line, no one behind me so I could return the favor or keep the good cosmic karma going. What is one to do… well, my 6 year old in the backseat spoke up. She questioned what had just happened, I explained, then came the intriguing and thought provoking comment from my soon to be first grader: “I guess that was nice, but everyone at the coffee line has money, I think we should buy coffee for people who don’t have money, that would make more sense”. Yes! I had done something right! My little girl already had a sense of “helping others” and sharing with the most unfortunate instilled in her little mind. I smiled and repeated back her sentence to her by adding: Challenge accepted! The next morning when we went grocery shopping I asked her to pick up an extra basket, in that basket she was asked to put some of the items she thinks we could not live without, maybe 10-12 items. She loved the assignment and amongst her “must haves” was of course bread and peanut butter! She also added milk, beans, tuna fish, bananas and even a watermelon. After we paid, we bagged her basket separately and took it to the nearest homeless shelter which is only 23 miles from our house. As a nutritionist, food blogger and meal expert there is nothing that touches my heart more deeply than knowing there are so many people who struggle without food in the world. That’s why we choose to help with food. Mission accomplished! We paid it forward, but in her words: To people who need it more than we do. In the end, the most amazing “ah-ha” moment for me was how much we have to learn from children, their thoughts and mind are pure and often they use plain common sense. To pay it forward in places which will make it the most impact. Next time I hit the coffee line (which is down to once weekly as I wean myself off this habit) I paid it forward as well, but I added a $5 donation to their “bucket for Ronald McDonald House” which was on their counter and asked the teen to tell the person behind me to do the same in lieu of buying someone else coffee please. I love the idea of spreading smiles and positive energy, but even more satisfying is passing forward to those who need it most! Summer time is great for so many things! Amongst all the days of fun and play I like to sneak in a few days in the kitchen to get creative. Usually the rainy days, which here in Florida are quite common in the summer. During the school year I resort to granola bars quite often, not just for the kids but for myself as well. It is an easy to grab snack that packs a ton of nutrition and hold me over until the next meal nicely. The problem is that I can get quite picky with granola bars, it’s usually a whole process to pick the right one at the store. It involves a whole lot of label reading, comparing and then taste testing to find a good one, and not to mention I often spend quite a bit of money. 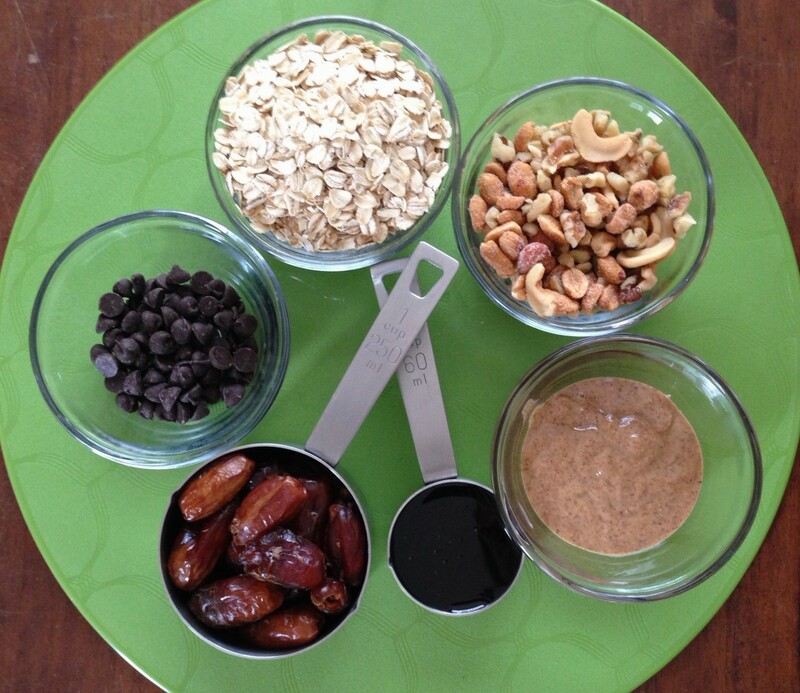 Dates- Great for making the “sticky” goodness of the granola bar! Dates are sweet so they eliminate the need to add refined sugar to the recipe. They also are very rich in fiber, iron, potassium and tannins (a polyphenolic antioxidant known to possess anti-infective, anti-inflammatory and anti-hemorrhagic properties). They contain a moderate amount of vitamin A, Calcium, manganese and other antioxidants as well. Mixed nuts – The nuts added the protein to my bar. Great plant sourced protein and healthy fats, they also some crunch. Choose any combination you would like! They can be roasted or raw, whatever you prefer. 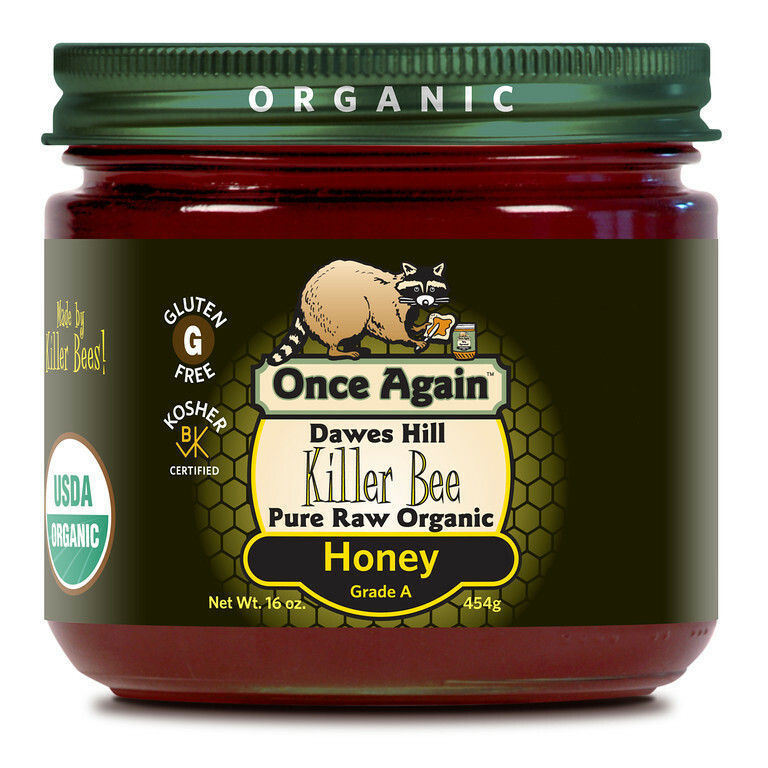 Honey – My favorite natural sweetener! It’s sweeter than table sugar therefore you need less, and it has vitamins too such as vitamin B6, thiamin, niacin, riboflavin and antioxidants. Oats – They provide the bulk of the recipe but also add to the fiber content of the bar. They have a unique antioxidant profile, which combined with their high fiber content makes oats a heart friendly food! Dark Chocolate Chips – Well… what can I say, I love chocolate! By choosing a chocolate chip that is over 60% cacao I can eliminate some excess sugar. Dark Chocolate is a good source of antioxidants, fiber, copper, iron, magnesium and manganese. Lightly Roasted Almond Butter – Definitely what made this bar so scrumptious! The flavor of the lightly roasted almond butter just set this bar apart from the other recipes I’ve tried before. It adds protein and it has a very heart friendly fat profile with unsaturated fatty acids and lots of fiber as well! Not to mention it is rich in vitamin E, magnesium, calcium and cooper too. Creating this recipe was fun but it did take me a few trials to achieve the “finger licking” sticky point for my taste. You can substitute or add any ingredient you’d like to make it your own, the secret is keeping the oats, dates and almond butter measures consistent. My next recipe will skip the chocolate chips and add coconut flakes! It was quick to prepare, didn’t require any baking and a sure keeper for when we return to our busy schedules! And you know they are a success when the kids are asking to trade their popsicles for more granola bars. Place dates in food processor and mix until puree. Add it to a large mixing bowl with oats, nuts and chocolate chips. Lastly add the honey and almond butter and stir it quickly. It helps if you slightly warm the honey and almond butter over the stovetop. Then place it in 9×9 (or 8×8 for thicker) pan lined with parchment paper and flattened evenly. Place it in the freezer for 15-20 minutes to set, then cut into 10-12 bars. Keep them in airtight container in fridge or you may freeze them too!